Yoann Barbet. 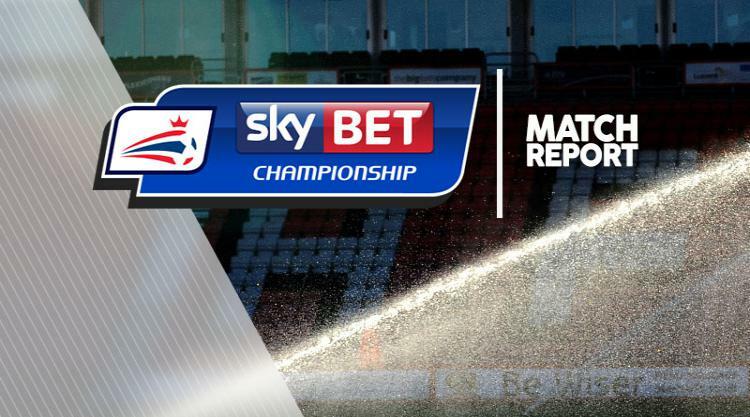 Nico Yennaris and Ollie Watkins scored stunning strikes as Brentford gained a first Skybet Championship win of the season with a 3-0 success over bottom-of-the-table Bolton at the Macron Stadium. Substitute Barbet, a 17th minute replacement for skipper John Egan, blasted the Bees into a first-half lead. Yennaris matched that spectacular long-range free-kick with a brilliant 30-yard right-foot special just after the hour. And Watkins completed a hat-trick of high quality finishes seven minutes from time for Brentford's first win at Bolton in 25 years, and lifted Dean Smith's side out of the relegation zone. Wanderers, however, are now the only Championship team without a win. Last season's League One runners-up have also lost six successive league and cup outings. Just as worryingly for manager Phil Parkinson, Bolton have not scored for 566 minutes, setting an unwanted club record of six games without a goal.. The home side, though, enjoyed the best of the early stages with Gary Madine twice going close to breaking the goal drought. His first effort after 10 minutes was superbly tipped away for a corner by keeper Daniel Bentley. Madine's second chance three minutes later cannoned back into play off the foot of Bentley's left upright. But a stoppage that largely contributed to six minutes of first-half stoppage time changed the rhythm of the contest. Egan was involved in a clash of heads with Wanderers skipper Jem Karacan, who had to make way for Barbet. Almost immediately left-back Rico Henry's shot was unconvincingly pushed away by Ben Alnwick before Romaine Sawyers blasted high over the crossbar when it looked easier to hit the target. Josh Clarke saw another effort palmed away by Alnwick while Madine's speculative lob was dropping under Bentley's bar until the goalkeeper intervened. Opposite number Alnwick was far the busier and he moved smartly to block Neal Maupay's effort. But the Bolton keeper had no chance with Frenchman Barbet's 38th minute left foot free-kick from 30 yards after Mark Beevers committed a foul trying to retrieve team mate Antonee Robinson's error. Sawyer went close to adding a second before the break as Brentford finished well on top. The visitors continued to be the more dominant side in the second period with Sawyers close to doubling their advantage. Parkinson brought on substitutes Craig Noone and Aaron Wilbraham after 61 minutes to try and change the course of the game. Instead, former Arsenal trainee Yennaris picked his spot a minute later to put the game out of reach before Watkins let fly with an angled right-foot drive from the edge of the area.